Geronimo Stilton is one of the most popular series at Tintin's school library, and now it's popular with Tintin as well. 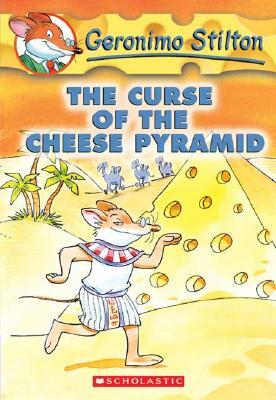 In The Curse of the Cheese Pyramid, Geronimo is sent to Egypt by his grandfather, the founder of The Rodent's Gazette, to interview a famous archaeologist and learn about the new energy source he's discovered. The archaeologist takes Geronimo into Cheops's pyramid to show him the hieroglyphs that inspired him to come up with the secret ingredient for his new energy source. On the way to the pyramid, Geronimo learns about hieroglyphs and other Egyptian facts, but he also learns about the terrible curse that falls upon anyone who desecrates a pharaoh's tomb. Of course, Geronimo's archaeologist guide reveals that he in fact has desecrated a pharaoh's tomb. Can Geronimo find out the secret ingredient before the archaeologist gets hit with this curse? Tintin's note: It was a great book and I liked how he went into the pyramid because that's so cool. I got to see the god of the pyramid. My favorite part was when that scientist guy tripped on a stone and then when he got up he didn't remember anything. Owen is a lot like Johnny Boo. He's always with his yellow blanket (although Johnny Boo doesn't like to get his blanket dirty). But we don't have a nosy neighbor who tries to talk us into getting rid of Johnny Boo's most prized possession, and Johnny Boo's dad would never go anywhere near vinegar to put it on Johnny Boo's favorite corner. And Johnny Boo has already accepted the fact that he can't bring his favorite blanket to school with him. 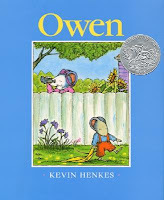 If he had had a problem with it, I know he'd forbid me from ever trying what Owen's mom did. Johnny Boo's note: It was great and it was awesome. 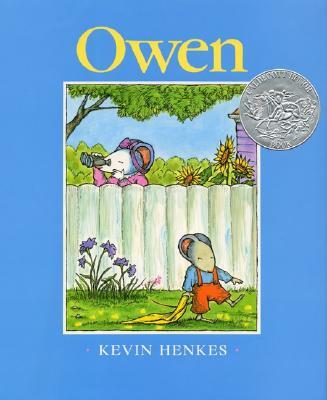 My favorite part was when Owen had his nightie [blanket] in his pajamas. 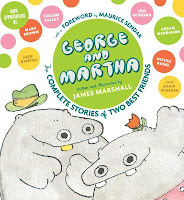 We wrote about George and Martha six months ago. 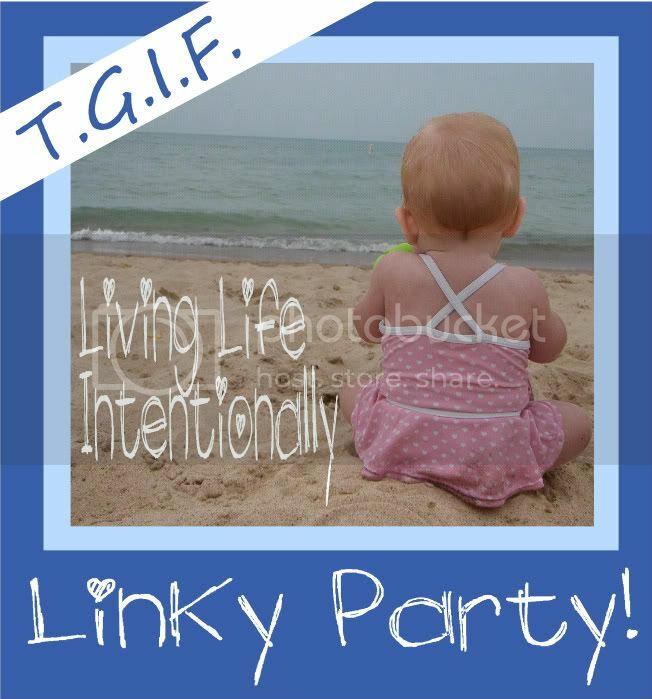 It's still a favorite. Johnny Boo's note: It was really concentrating. I like when George peeks in on Martha. Sticky Burr isn't like most of the other burrs in Burrwood Forest, and Scurvy Burr doesn't waste any time letting them know it. 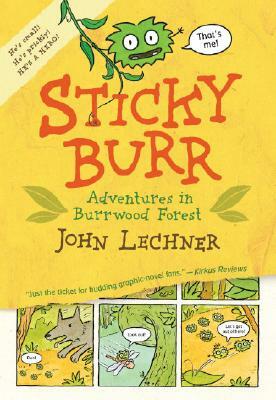 Adventures in Burrwood Forest is Sticky Burr's story, about how Scurvy and his friends chase Sticky out of the forest for not acting prickly enough and how Sticky ends up being a hero. In The Prickly Peril it's Scurvy's turn to tell a story. Once again he tries to get rid of Sticky Burr, and once again Sticky Burr comes back the hero. Each book has a song at the end, just right for beginning piano students. Tintin's note: I like how they go on adventures. They're really cool adventures. Johnny Boo's note: It was a great book. It was ridiculous. It was kind of diaryish. I haven't ever seen the Sticky Burr titles before, but the other titles are great! My girls really enjoy the Geronimo Stilton books and any Kevin Henkes story is always a favorite. 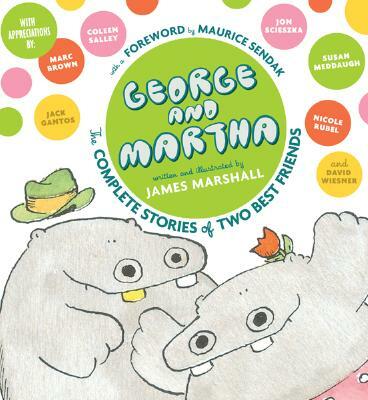 The George and Martha stories are funny and sweet. Have you ever read any of the Mr. Putter and Tabby books by Cynthia Rylant or Minnie and Moo by Denys Cazet? F loves the Geronimo Stilton books! We got the Cheese Pyramid one ages ago on CD and she's been hooked since. I need to reserve her the martial arts one, I never remember to do it. Johnny sounds like my daughter who also loves her blankie. It's a boy and he is not allowed to leave upstairs bedrooms :)) Sticky Burr sounds intriguing. Thanks for joining WMCIR!